What are all the possible reasons for mails reaching spam folder in Linux Cloud? Today most of the people are using the website and web hosting service for their business. And today most of the people are like to use cloud-based web hosting platform and the reason behind it is that in cloud hosting you can easily manage and handle your website. Not only that using cloud hosting for your website gives you more advantages like you can access to your business data at any time at any place, and there is more security and also reliability in cloud hosting platform. Moreover using cloud hosting platform you no need to worry about data backup. In cloud hosting, you can also choose your desired operating system. And today most of the people are using Linux based cloud hosting solution for their website. And the reason behind it is that Linux is an open source operating system and it is also a most used operating system in the world. So today using Linux cloud hosting solution for your website gives you a better hosting option with easy in handling and managing your website. So today if you are using a cloud hosting solution for your website and if you are looking for the possible reasons for mails reaching spam folder then here is the information on it. So what are the possible reason for emails reaching spam folder? This may happen if your SPF and DKIM records are not updated or if your server IP is blocked or blacklisted. If you are confused or if you want to check whether your SPF and DKIM records is been updated or not then follow the below steps. >> Now you can check in Host Name, TTL and in Target whether any values are been updated or not. So now if the SPF and DKIM records are not updated then you need to generate the record. 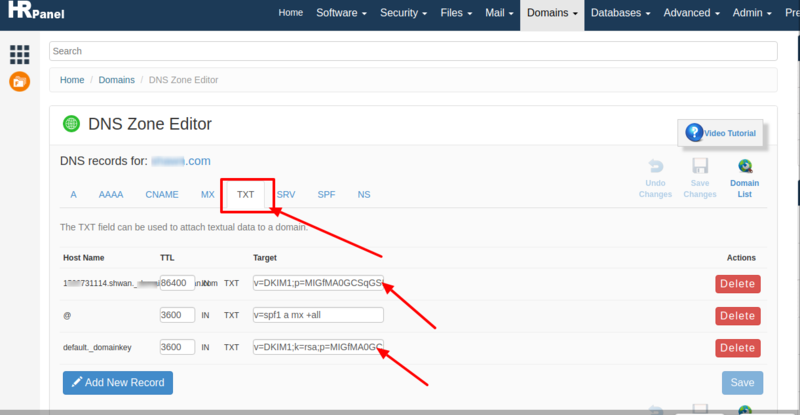 You can generate the record by searching for SPF generator and also DKIM generator in google. And once you get the value you need to update in your cPanel by following the above steps. And to check if your server IP is blocked or blacklisted. You can check in the Mx toolbox by enting you IP and selecting blacklist check option. And over there if you see any of the items is blacklist then there you will get a link to whitelist it. So today if you are looking for Linux based cloud hosting solution for your website then here at HostingRaja we provide best-in-class Linux cloud for our customers at an affordable price. Not only that we also provide amazing features, offers, and discounts with our cloud hosting solution. We also provide 24/7 customer support via phone, chat, email and ticket system. So what are you waiting for? Get the best Linux cloud hosting from HostingRaja today! !